There are few composition tools that are as powerful as framing is. Placing a subject within a natural frame forces the viewer to lock onto the main subject while giving clearly defined bounds around that main subject. The viewer is clearly directed to the subject and as their eye wanders around the image the natural frame forces them back in. A great composition tool, well worth some more investigating. 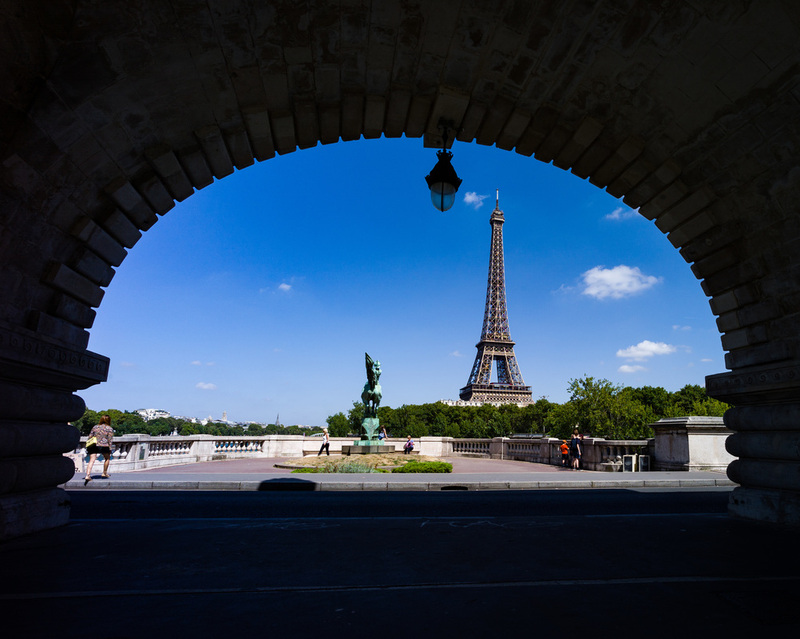 In the photo above I shot the Eiffel Tower through a bridge arch (fittingly the bridge was also designed by Eiffel). I was going to Paris earlier this year and wanted some interesting ideas of what to shoot. I found the YouTube video HERE which spoke of this shot. I added it to my photography book and made sure I got the image. You can read more about the photography book HERE. Like all compositional tools there are weaknesses about this method. For one, it can get predictable if used too often because it is obvious to spot. Sticked to the rules of thirds is less obvious and only someone who understands composition will spot it being overused. Framing, on the other hand, is clear to everyone. The other weakness of this tool is that it is dependent on what you find when shooting. You have to have a frame already there in order for it to be used. There are obvious as well as less obvious frames but it either exists or does not. You cannot really create it. The shot with the two people holding hands was taken in Prague and shot at night on a tripod. I was using the arch as a frame allowing the people to blur when I noticed a engagement shoot going on. I took advantage of the engaged couple standing still for a photo and the photographer on his knee to capture the shot. The frame of the arch, the blurred people and the couple holding hands all come together wonderfully. Remove the arch and the picture would be compositionally weak. But there are less obvious ways to frame a subject. One I like to use is on the right. With people using iPhones or even iPads to capture images it is often difficult to shoot a popular subject without one of these devices in your shot. 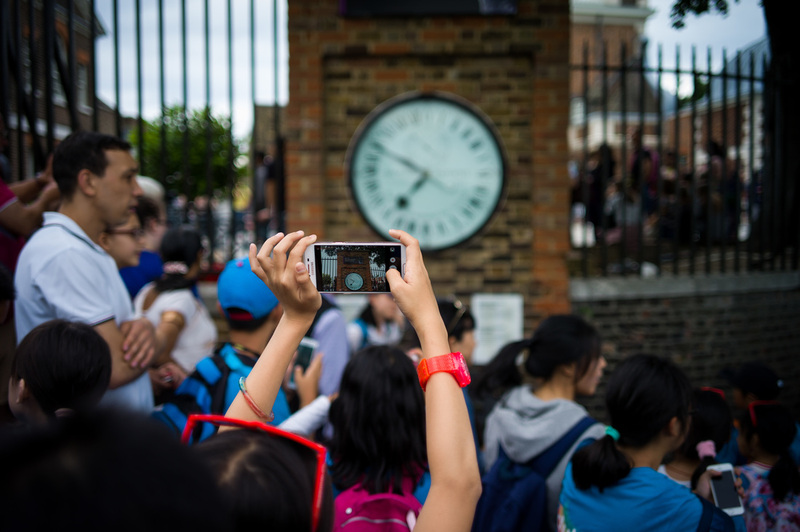 This image was shot at Greenwich England and this wonderful old clock is not he wall which makes for an attractive snapshot. Tourists rightfully try to capture it the best way they can...I figured "if you can't beat them, join them" and used the framing element to capture the image. The only two compositional elements really working here is the framing and color but we will talk about color some other time. 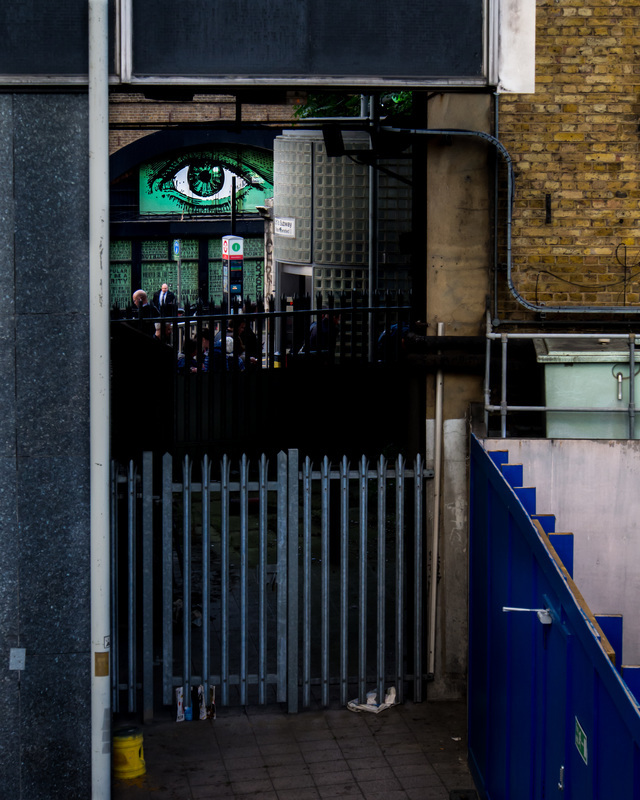 The image of the eye on the left was taken this past week near Waterloo station in London. I pass this point everyday and kept being drawn to the eye framed through this tunnel. I liked the colors of bright "dollar" green, the dark blue of the temporary wall and the muted red of the bricks. Again the composition element is the frame around the eye. Everything else is just used to block out the viewer so that they eye is the most important subject. Nothing competes with it in the frame. Even if I had someone doing something in the foreground, like reading a paper or speaking on a cell phone, I would have lost the power of the frame. This is the trick when using framing, you cannot balance it would with something outside of the frame. The frame must encompass your entire subject or you will lose the strength of the composition. 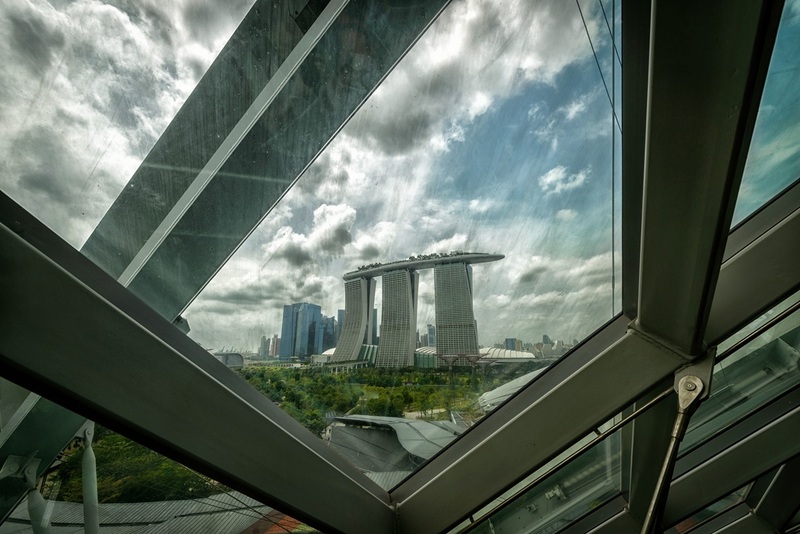 The shot below was taken in Singapore and here I used a window to frame a very popular picture in a unique way. An interesting way to capture an image is through the picture within a picture. 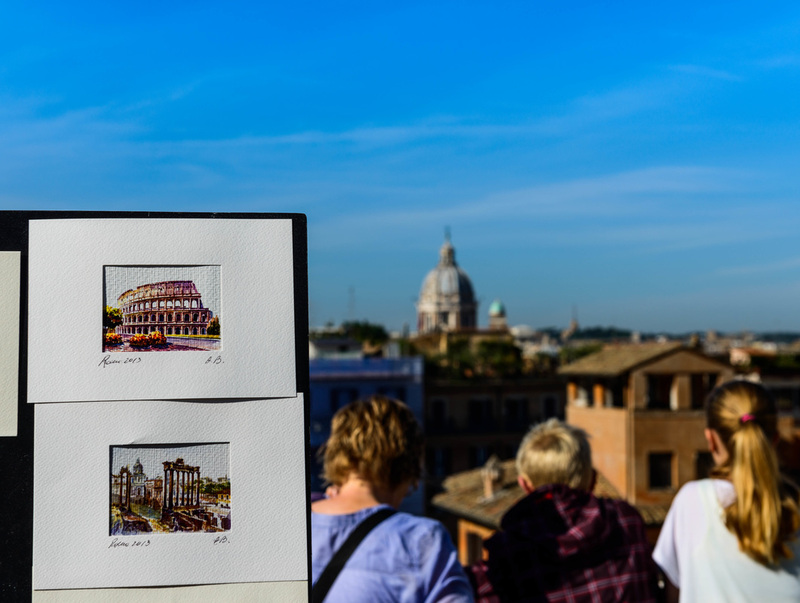 The shot on the left was taken in Rome and I used the paintings, depth of field and color to frame the shot. All three elements together help make the most of the scene.